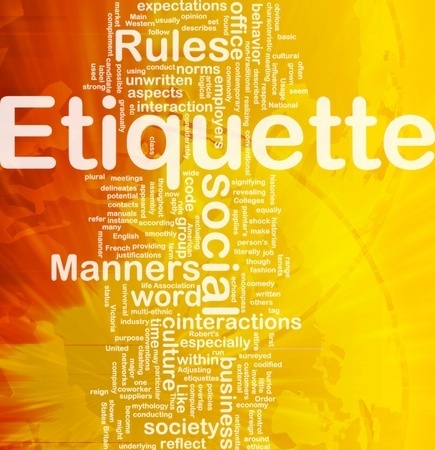 Etiquette consists of rules and guidelines that strengthen relationships through civility. One such guideline is forgiveness. When you forgive and let go of an offense, you increase your ability to authentically connect with others. You create an environment of compassion and understanding. You are willing to put away blame and fault-finding and build a civil relationship. Seems rather idyllic, but it is possible to achieve. Especially when you make forgiving a daily habit. Let's explore the fundamentals of forgiveness, and why you should practice it. When you forgive, you agree to recognize the past, but live fully in the present. You commit to let go of resentment and grudges and move on. If you have an ongoing working or social relationship with the person who hurt or offended you, the process will include discussing the situation with that person. This is not always easy and is one reason people decide not to forgive. However, holding on to the feelings created by that person means you are likely to continue replaying the situation in your head with no resolution. The gift of resolving hurtful feelings and situations is that you can move on and prove your resilience. When you know you need to “get on with it,” you are willing to stop complaining, rationalizing, avoiding what has happened, or assessing a situation. Working to develop resilience is key to overcoming being crippled by disappointment when things don’t go the way you want (either you wanted something to happen and it didn’t, or you wanted something not to happen and it did). Forgiveness is actually a practical concept that helps you get out of ruts and into new ideas and possibilities. Have you ever said to yourself, “No I can’t do it, I can’t let that person get away with his egotistical mindset.” Grudges and resentments and “the same old stories” (gossip) keep us locked in a mindset of the past. In order to get out of the past, be in the present, and look to the future, it is necessary to forgive. 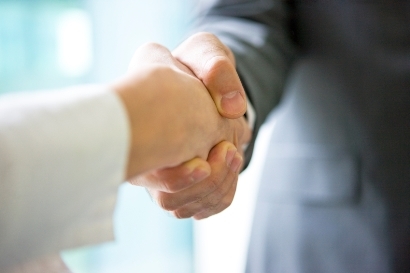 Trust between people is vital for well-being in both business and personal aspects. If Mary is fearful because an error at work was handled badly, she may become overly cautious and generally prone to a bad attitude. This will definitely affect her productivity. A culture of forgiveness must confront blaming, complaining, avoiding, pretending, and gossip. If these behaviors are internalized, trust cannot form. If you use something that happened to justify your anger, it can turn into resentment. The longer a grudge is held, the harder it is for issues and concerns to be discussed. Forgiveness is a value that must be a priority! Lack of self-forgiveness (for any number of things) may be at the core of not being able to forgive others, causing various problems between people. Many of us are harder on ourselves than we are on others. Learn to be your own best friend and treat yourself with compassion just as you would someone else. Letting go of hurt means the story you tell will have to change. I made a mistake that showed me what my boss is really made of. He yelled at and belittled me in front of other coworkers. This negative behavior is driven by fear, but I'm not a fearful person. I will put this behind me and increase my productivity by 10% within the next month. I can do it, and I am worth proving this to myself. Mary takes ownership of her part in the situation by acknowledging she made a mistake. She also understands the root of her boss's reaction. But she then commits to rise above both of these issues by setting a goal and giving herself a good reason to do so. Commit to success and remaining positive. Discover your own barriers to forgiving. Use an assessment measure* to determine your own habits when avoiding forgiveness. Have a sharing session after using an assessment measure. Establish rules of respect for communication in your office and at home. Commit to honest, positive confrontation, especially when the situation was propelled by misinformation. Don't assume someone knows the effects of her own behavior. Avoid yelling during a confrontation. Be polite and clear with your communication. No labeling others. Even affectionate labels can be off-putting or develop negativity. Develop positive ways of presenting yourself, beginning with a self-assessment of how you talk, look, and act, both verbally and non-verbally. Keep your mannerisms positive. Make eye contact, stand or sit up straight, greet others warmly, speak clearly, maintain a friendly facial expression, and listen. Etiquette is based on respect, courtesy, kindness, and straightforwardness. When etiquette is in place there is trust and predictability. Forgiveness helps build that trust. Other people can depend on you to keep a level head, and approach them with authenticity. It's been said that forgiving makes you a pushover, or powerless. Not so. Forgiving proves your strength. In a working relationship, when you can forgive and remain a productive team member, you become the person people love to work with. You lead others to overcome disagreements, gossip, finding fault, and other negative behaviors. However, forgiving may also include stepping away from a relationship, or even a job. You may be able to understand why someone is behaving negatively, or that a company doesn't regulate the behavior of executives. But you don't have to accept it if it is outside your personal boundaries. Do you know someone you need to forgive? Perhaps yourself? Make it a priority to work on this today. Forgiveness will give you the clarity to see the gift of your present and future, while putting the past to rest. Try it! * Pachter, Barbara, and Susan Magee. The Power of Positive Confrontation: The Skills You Need to Know to Handle Conflict at Work, Home, and in Life. Second ed. Boston: Da Capo Lifelong Books, 2014.